Away from the hustle and bustle of the city, this resort situated along the beautiful stretch of ocean offering rooms with stunning sea views. Five incredible swimming pools along with a kids pool with slides are sure to catch your attention. The buffet breakfast served at Chom Talay is sure to delight you. 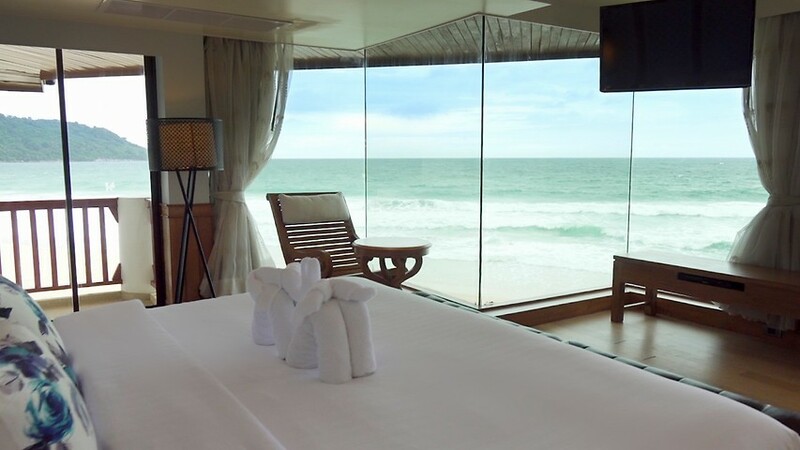 Katathani Phuket Beach Resort is one of the luxurious properties in Phuket and never fails to impress its guests. Located on the picturesque Kata Noi Bay, which is one of the most beautiful beaches on the island, the 5-star property is ideal for those who want a serene escape from everyday chaos. Developed to offer a one-of-a-kind experience, the property is a perfect place to unwind. Here, one can truly experience nature at its best. The lavish property offers a perfect solace to one and all, be it a family, couple, honeymooners or leisure travelers. The property boasts of swimming pools, Jacuzzis, water springs, a mini water slide and a kids club. One can also relax at the spa facility by indulging in services like massage, pedicure and manicure. The property features a well-equipped gym and a boxing room. Further, its warm hospitality and incomparable amenities offer countless memories. Phuket International Airport is an hour drive from the property. One can experience various activities like swimming, kayaking and surfing. 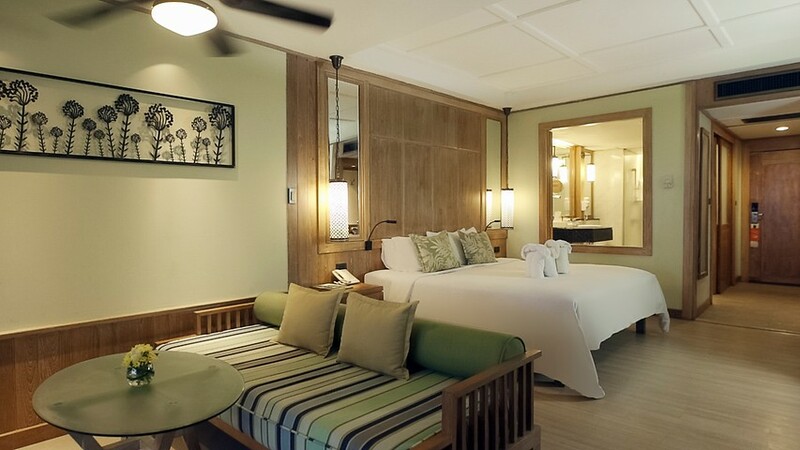 The accommodation at Katathani Phuket Beach Resort Thailand is both classy and elegant. It offers 518 rooms under various categories, including junior suites, junior suite oceanfront, grand suites, family suite, one-bedroom royal suites, two-bedroom royal suites, deluxe rooms, deluxe pool and grand deluxe rooms. 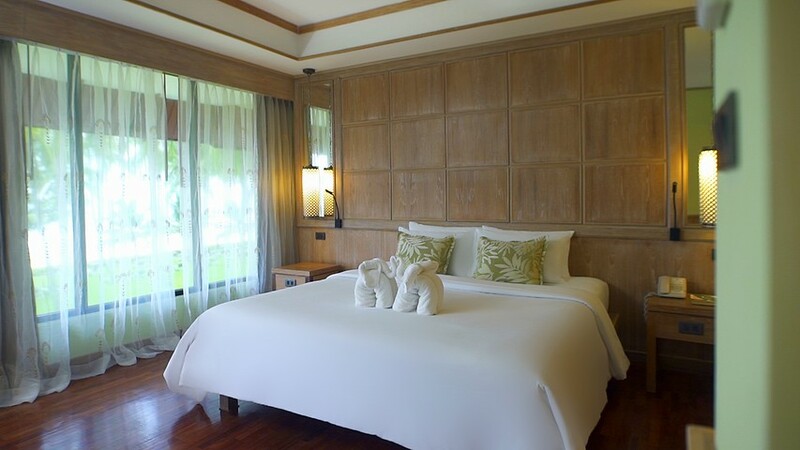 Junior suites and junior suite oceanfront offer scenic views of Andaman Sea and beachfront respectively. Grand suites, family suite, one-bedroom and two-bedroom royal Thani suites offer breathtaking views of the ocean. 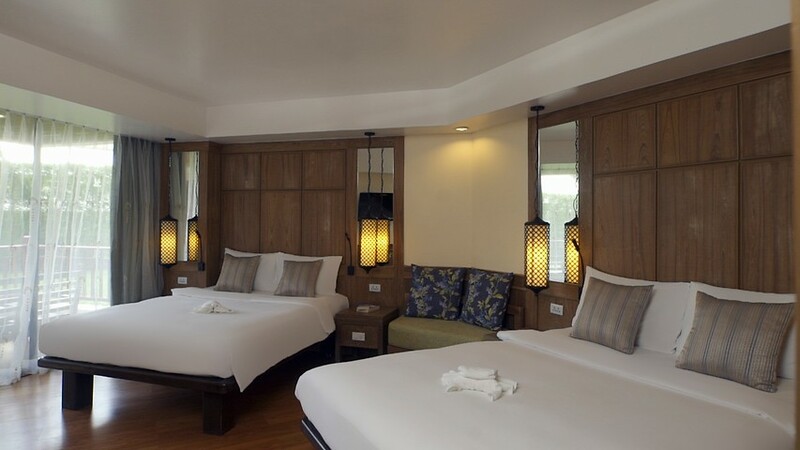 Deluxe rooms, deluxe pool rooms offer picturesque glimpse of lush green garden. All the rooms are equipped with separate bathtub and shower, tea/coffee maker, DVD player, LCD TV, IDD telephone, fluffy bathrobe, umbrella, mini bar, safety deposit box and Katathani Essential Oil & Burner. All the accommodation units come with a private balcony for enhanced privacy. 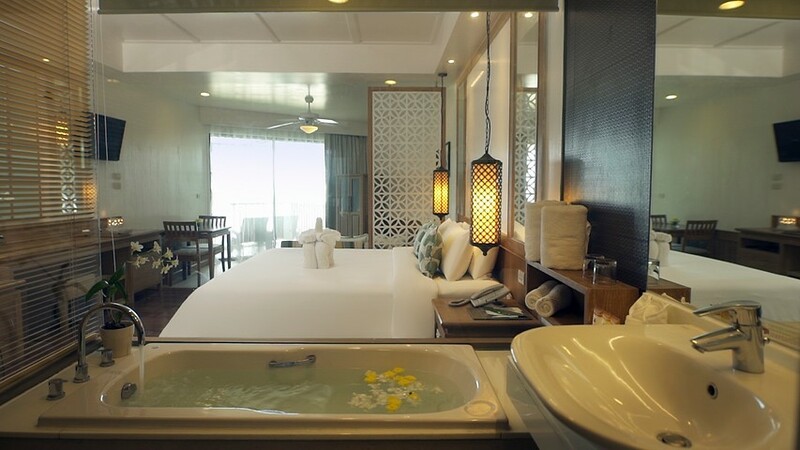 Apart from above facilities, one-bedroom royal suites come with seaview Jacuzzi and grand private sundeck. 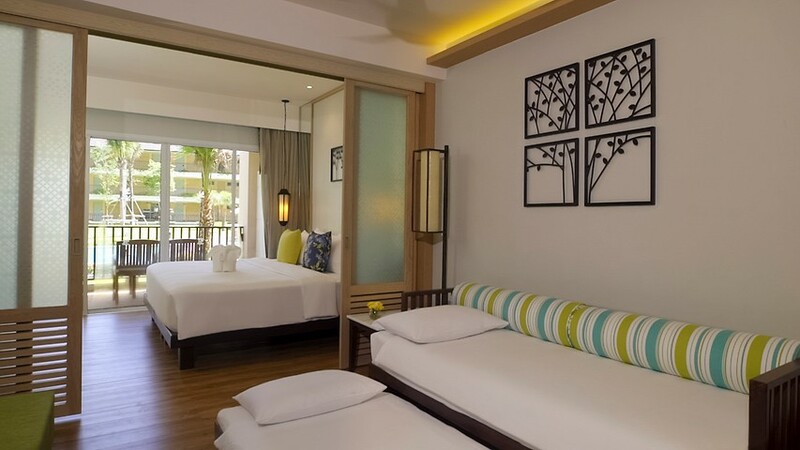 Katathani Phuket Beach Resort has a plethora of services and amenities to offer its guests. It features six swimming pools, four pools for kids, three Jacuzzis, two water springs and a mini slide. 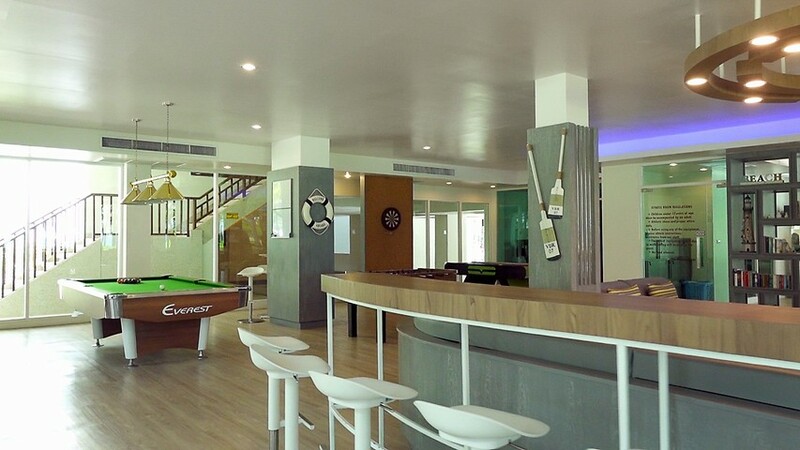 For keeping kids entertained, the property also houses Chang Noi Kid's Club. 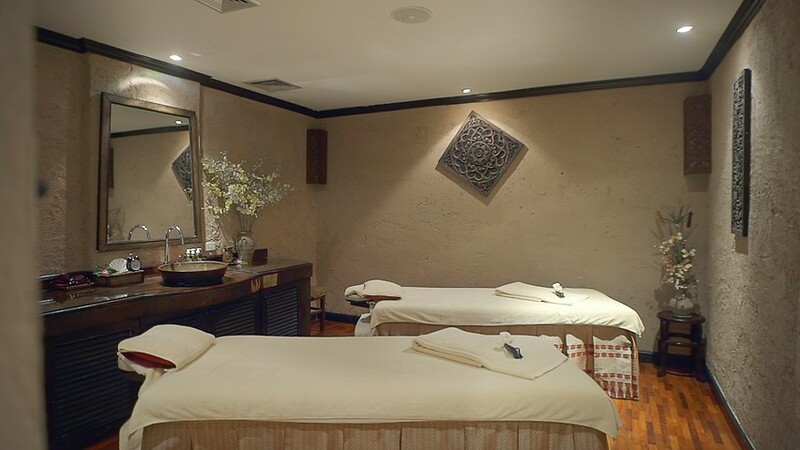 At Tew Son spa, a variety of services are offered such as massages, facials and, body and beauty treatments. One can join Thai cooking classes, for learning new dishes. The property helps in organising various tours, activities and water sports like golf, diving, snorkelling, kayaking, surfing, jet-ski, parasailing, island hopping, elephant trekking and many more. It also maintains a parking space, 24-hour front desk, currency exchange counters and tour desk. In case of medical emergency, an in-house clinic is also available. For a phenomenal and gourmet dining experience, Katathani Phuket Beach Resort is a perfect place. The six restaurants offer lip-smacking food and exotic drinks. Chom Talay offers Thai or Western flavours, while Fisherman's Wharf serves is a seafood restaurant where one can also enjoy a refreshing beverage while watching the beautiful sunset. 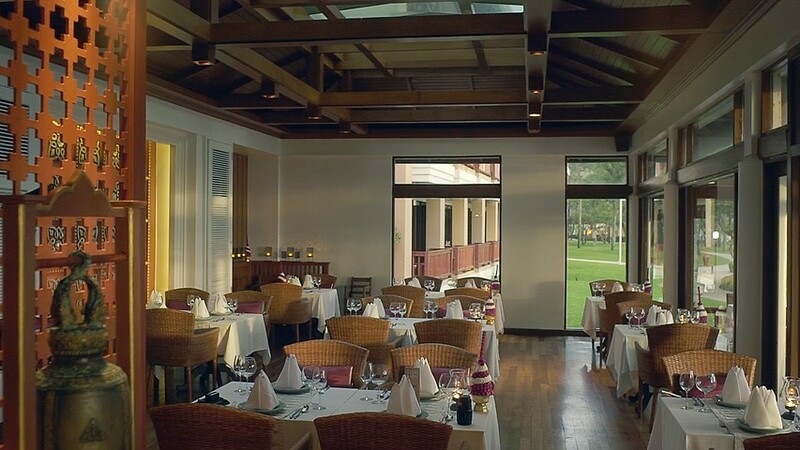 La Scala is an Italian restaurant and Chanadda Royal Thai Cuisine offers delectable Thai dishes. For relishing pizza and pasta, Seaside is an ideal place and at Seacret, one can enjoy Thai and International dishes. 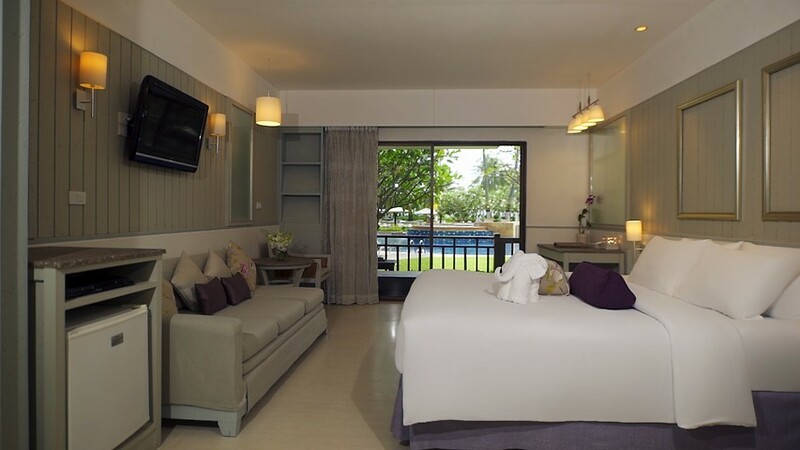 Katathani Phuket Beach Resort provides an unforgettable getaway with finest of services and beachfront location. Situated in the midst of nature, the property offers a perfect destination to refresh mind, body and spirit. Surrender to the tranquillity of the place and let go all the stress and anxieties at the 5-star property. 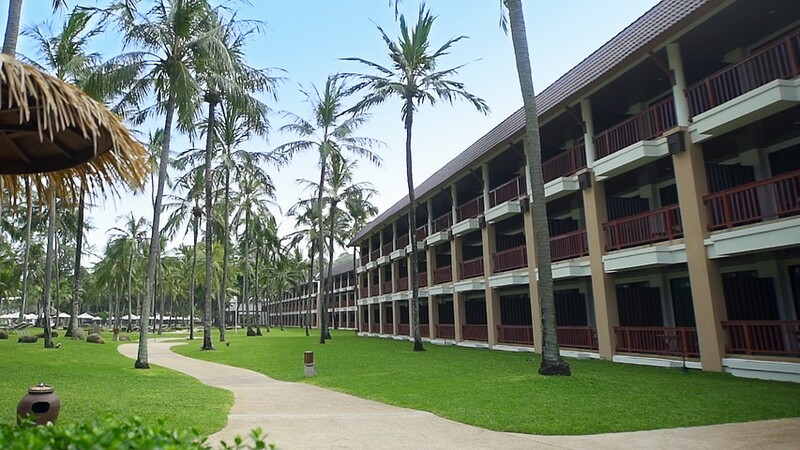 Katathani Phuket Beach Resort Thailand is approximately 44 km away from Phuket International Airport. Does the hotel offer airport shuttle services to its guests? Yes, the property provides airport transfers to its guests but at an additional cost. What are the recreational activities one can indulge in and around the hotel? Katathani Phuket Beach Resort Thailand offers a variety of cheerful activities ranging from water sports to golf to trekking. One can enjoy spa sessions within the premises. Does the hotel provide facilities for kids? Yes, the property houses a kids club and pools. Yes, Katathani Phuket Beach Resort Thailand features a fitness centre. 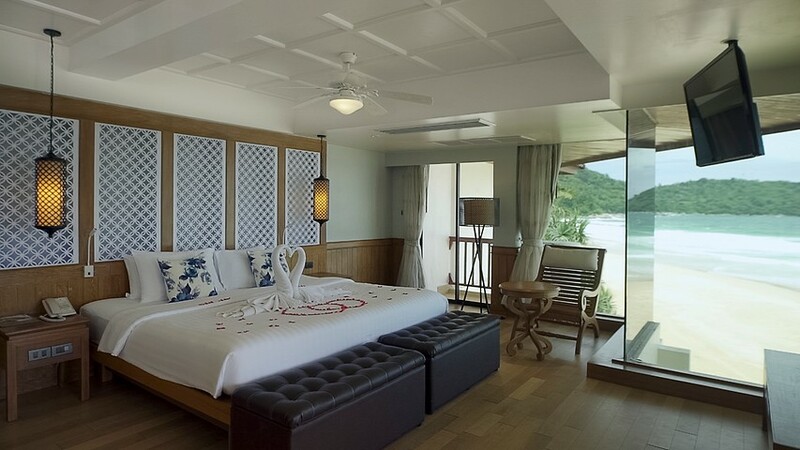 The luxury Phuket property serves as an ideal destination to unwind and relax in a breathtaking environment. One can find solace and experience the beauty of raw nature. Surrounded by vibrant greenery and soothing ambience, Katathani Phuket Beach Resort Thailand offers picturesque views. One can enjoy stunning views of the sparkling blue pools, lush green gardens or Andaman Sea. Travelers can get a taste of delectable dishes at the in-house restaurants or enjoy refreshing drinks while enjoying beautiful sunset. Further, the property offers a number of fun activities for kids to keep them entertained. Unravel the underwater life with kayaking, snorkelling and diving. 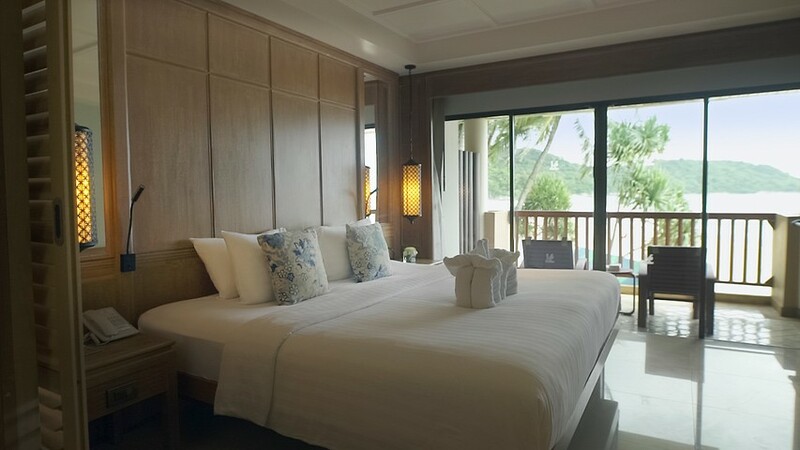 An ideal blend of tranquility and warm hospitality, Katathani Phuket Beach Resort Thailand is a perfect location to escape the chaos of everyday life.